5 Smart Ways to Save Money on Kids - Women and Money Inc.
We spend a lot of money on our kids these days, and a lot of it isn’t necessary. We came up with a list of common mistakes and thrifty solutions for you to save money on kids in a big way. Not all of these will apply to you or will work for you, but hopefully some of them will resonate and help you in your noble quest to save money. Pre-packed fruit cups — fresh apple, banana, orange, etc. You get the idea, when you purchase foods in a more natural state to replace the processed snacks, your grocery spending decreases as well as your kids will need to eat fewer snacks throughout the day. Money in the bank. Shopping with the kids? They will find plenty of stuff they want, even if they never wanted it before or know what it is, and they will ask you for it. Say no. Every time. Needless stuff is money wasted. You are not scarring your children by saying no to their every request, rather, you are helping them learn a valuable life lesson about earning and planning their purchases. If they are old enough to understand, discuss your shopping plan with them before you head out the door. Talk about your shopping list and your budget, and get them involved with trying to achieve the goal in a timely and smart way. Hopefully they will be learning money lessons from you, while not pressuring you to spend more on impulse. Is it something they need? Can you find it cheaper/better elsewhere? Will this be for a gift (birthday, Christmas), and will it still be appropriate when the day arrives? Do you want this item adding to the clutter of their room/your house? How much time do you or your partner need to work to pay for this item (including tax)? If you are in a hurry and on a budget, it is best to avoid browsing the kid sections altogether. Sometimes you will come across a great deal and a great find, but make sure you think through the above questions before buying. If you think you can just return it if you change your mind – don’t do it. You will not want to spend more of your time returning it, and you likely won’t bother. Reward them with choice – Family movie night? They pick the movie. Sunday night dinner – cook the meal of their choice. Bonus time with you – Spend extra one on one time playing together or doing a free activity of their choice. More time doing what they love – Maybe they get to stay up a bit later, read an extra book, or skip a chore of their choice as their reward. Try to buy most of the everyday and boring essential items for your kids second hand, saving brand new splurges for special occasions. Check resale websites like Craigslist or local thrift stores and consignment stores for lightly used and quality items such as clothing, shoes and furniture. Save the special new shoes and clothing pieces for gifts on birthdays or Christmas. Buying second hand essentials for kids on a regular basis can really save you money over time. When we aren’t able to spend the time with our kids that we would like, we often feel guilty and want to spoil them with material possessions and treats to make up for it. And we may pay to enroll them in extra activities to keep them happy without us around. What our kids really want (and need) from us is our time. So don’t work overtime to afford to send your kid to extra lessons. Take the time to teach them a skill you know, or show them a game you loved as a child. You may find that when you spend less money on your kids, you are able to spend more time with them. Maybe you won’t have to work so many hours, spend as much time shopping, or spend so much time stressing about money, and you will be happier to know that you have a stronger relationship with your kids while putting your money towards your financial goals. Will any of these tips help you to save money on your kids? 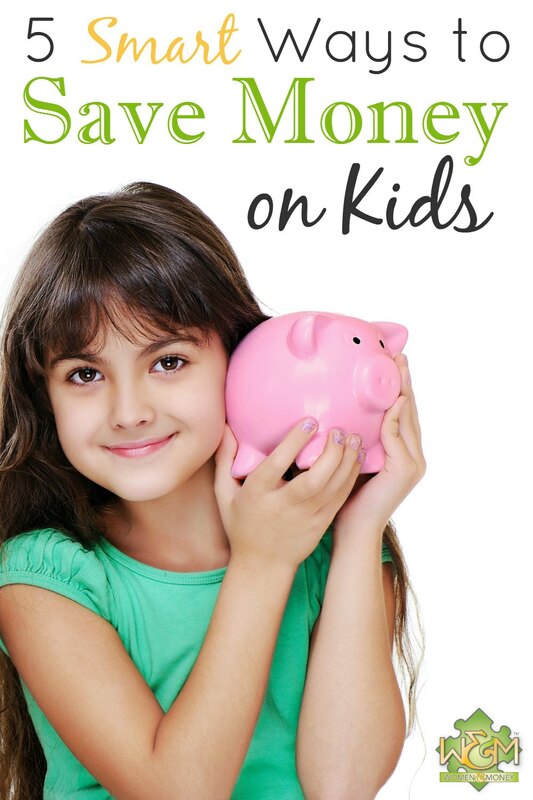 What are some other ways you save money on kids? This entry was posted in Blog, Kids and Money, Saving Money. Bookmark the permalink. Both comments and trackbacks are currently closed.